This website presents digitally painted judicial portraits by Richard Quindry. Rich creates portraits that enhance the image of his subjects. He was commissioned by the Montgomery Bar Association in 2015 to create four judges portraits for the Montgomery County Courthouse. In 2016 they had him create four additional judicial portraits for the courthouse. 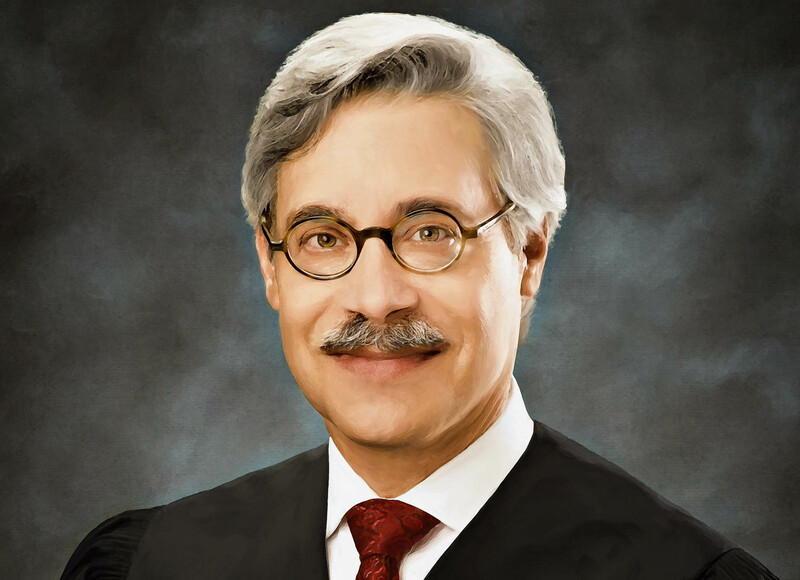 In 2017, RIch was commissioned to produce three 30″x40″ environmental judicial portraits for the Carbon County, Pennsylvania Courthouse. Since then was hired in 2017 and 2018 to create additional paintings for judges for Montgomery County. The finished paintings are archival giclée prints on archival canvas. They have the appearance of very high-quality oil paintings. All of the paintings, along with detail photos are presented. Philadelphia photographer and Photoshop expert Rich Quindry creates digital paintings of judges and founders from images of people that he’s photographed. Rich has been in business as a full-time commercial photographer since 1974. He’s also been doing digital manipulation of photos for over 20 years and is nationally recognized as a Photoshop expert. For the past four years, he’s been commissioned by the Montgomery Bar Association to create eight judicial portraits for the Montgomery County Courthouse and the Carbon County Bar Association to create three large environmental judicial paintings for the Carbon County Courthouse. He’s now making known these services to the public. This website features one of Rich’s specialties, digital paintings of judicial portraits and founders portraits. These paintings are created by Rich using Photoshop and other programs. Each portrait is painstakingly worked on and painted with countless brush strokes in Photoshop using a digital pen tablet. The paintings start with a photo session either at Rich’s studio or on location. While it’s possible for Rich to create a judicial portrait from another photographer’s image, it must be of exceptionally high quality. For that reason, he much prefers to work from his own photographs. You can see the quality of his photography at his primary website Quindry.com and another specialty site of his, PhiladelphiaCorporateHeadshots.com. The finished judicial portraits and founders portraits are archival giclee prints on canvas. These digital paintings give the appearance of exceptionally high-quality oil paintings at a fraction of the cost. Contact Rich for a quote.